7 Key Findings On The Use of Social Media And E-Commerce: New Study. Online retailers have been rushing into using Social Media as the next big marketing thing and yes it is showing some promise. A recent study by Compete which evaluated online shopping trends, unearthed some interesting findings about the use of Social Media and online shopping, especially about Facebook and Twitter. 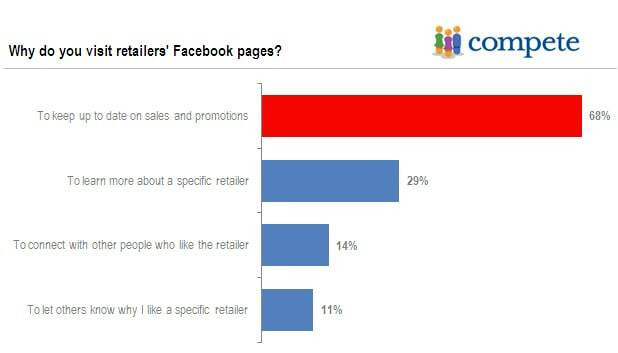 The Compete study overview: Consumers Slow to Embrace Social Media As Shopping Resource. Where Will Social Media Budget Flow to in 2010. Where will the money go? This post explores some of the avenue where social media budget will flow to this year. Case Study: Social Networking Does Work. M+R Strategic Services released their 2010 NonProfit Social Media Benchmark Study: An Analysis of Growth and Social Engagement Metrics for Nonprofit Organizations. The findings in the study are quite re-assuring for some of the best practices we already know. Paul Gillin’s Guide to Choosing Social Media Tools. Most companies have the same problem: They’ve dabbled in blogs, Twitter and Facebook fan pages but after several months they lack traffic, followers and fans. They’re frustrated and confused. Wasn’t this supposed to be a cheap and easy way to build their brand and bring in sales? Social media demands a strategy, and that’s where businesses usually don’t go far enough. B2B Case Study: How to Get Started in Social Media. The second in a series of “How To’s” to help you add social media to your integrated marketing communications program. Integrated Marcom Minute interviewed Katherine Watkins, Marketing Communications Manager, Eastman Chemical Company, to learn how she and her marcom team integrated social media into their marcom mix. Adopting Social Media in the Enterprise. Most enterprises have made attempts at dipping their toe in social media mostly by establishing a presence on what we will call the “free social web” – Facebook, Twitter, LinkedIn, etc. While these social outposts are extremely important for branding and driving traffic to an enterprise’s web site or online community, they are difficult to measure and track and, most importantly, it’s difficult for the brand to own the conversations happening within the broader social web.